Quassy has many different options for groups, organizations, companies, and non profits - you name it and we have a special offer for you! In addition to the programs listed below we can accommodate any special need that your group or organization may have. Please call one of our friendly sales professionals at 1-800-FOR-PARK or contact us online to discuss your special needs and we will create the right package for you! 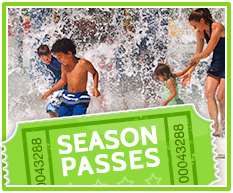 Click here to view season pass benefits! Note to our visitors: coupons and specials at Quassy Amusement Park can change without notice. So please visit their official website to make sure of the latest pricing and coupons.